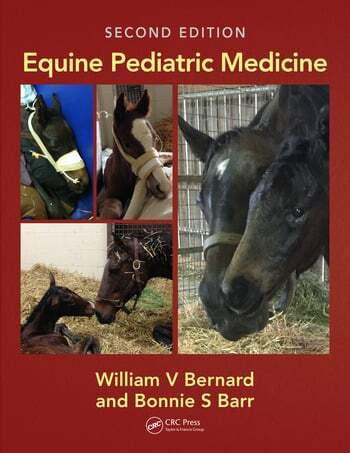 This systematic yet concise guide to equine pediatric medicine covers etiology, pathophysiology, clinical presentation, differential diagnosis, diagnosis, and management. Beginning with a thorough explanation of the physical examination, the chapters then take the reader through the different disorders associated with each body system, including liver, cardiovascular, respiratory, opthalmologic, endocrine, and muscoskeletal diseases. A brand new chapter on nutrition has been added to this fully revised text. The book is superbly illustrated throughout with photographs, diagrams, radiographs and tables, while a new section of in-depth case studies brings the information to life and is ideal for students. 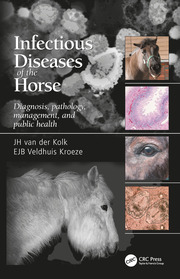 Equine practitioners will value this as a ready reference, while veterinary students and technicians can use it as a complete guide to equine pediatric disease. Physical Examination. Shock, Resuscitation, Fluid and Electrolyte Therapy. Infectious Diseases. Immunologic and Hematologic Disorders. Alimentary Tract Disorders. Liver Disorders. Cardiovascular Disorders. Respiratory Disorders. Urinary and Umbilical Disorders. Neurologic Disorders. Muscle and Neuromuscular Junction Disorders. Joint and Skeletal Disorders. Ophthalmologic Disorders. Dermatologic Disorders. Endocrine and Metabolic Disorders. Neoplasia. Pharmacology. Paediatric Nutrition. Case Studies. Dr. Bernard is a founding partner in Lexington Equine Surgery and Sports Medicine. He has spent 20 years as an internist and partner in a large equine hospital and is currently a consultant in equine medicine. He graduated from the University of California-Davis and served his internship and residency at the University of Pennsylvania New Bolton Center. His primary interests are equine infectious diseases, gastroenterology, neurology and the respiratory system. He has received numerous awards, including the Upjohn Award for Excellence in Large Animal Clinic Medicine and Surgery. Dr. Bernard has published articles in such scholarly journals as: Journal of the American Veterinary Medical Association and Journal of Veterinary Internal Medicine and he has authored chapters for several books. He is a member of several prestigious professional veterinary organizations. Dr. Barr earned her veterinary degree at the University of Pennsylvania. She then completed a one-year internship at Rood and Riddle Equine Hospital and a two-year internal medicine residency at the University of Pennsylvania’s New Bolton Center. Dr. Barr was a staff member for one year at Texas A&M University before rejoining Rood and Riddle Equine Hospital in 2001 as an associate veterinarian specializing in internal medicine. She became boarded in internal medicine in 2003 and in 2014 a shareholder at the practice. Her areas of special interest include equine neonatology, equine infectious diseases and infectious disease control. Dr Barr is the co-author of Equine Pediatrics and has published articles in numerous veterinary journals and textbooks. As a student with a keen interest in all things stud medicine, I found this text extremely useful in bridging the gaps in knowledge and my confidence in this field. At veterinary school, we don’t get much in our classroom teaching in terms of paediatric medicine for equine. Our clinical stud medicine teaching is primarily focused on breeding and mare management. The book will be hugely beneficial to my future career path for knowledge of the field, and it will be a nice thing to have on hand at the practice to open up when in need. 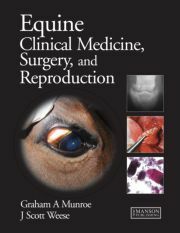 The book is most appropriate to the clinically taught years of vet school, but I also believe that it’s a good book to have (at least knowledge of its existence!) if attending a stud on a pre-clinical-years placement (AHEMS). I personally would have found the resuscitation chapter and the introductory information very useful during my stud placement in 2nd year. It offers a good, broad knowledge and coverage of all body systems, organised into such which makes it really easy to orientate through. I feel like it goes into a lot of detail within each of the sections too. There isn’t one chapter that lacks detail compared to the others. I also like how it gives a range of treatment options for each of the conditions, acknowledging author preference but also stating why that may not always be an option. The only suggestion I have to improve this part would be to make reference to the costs of treatments (not specific numbers, but which is cheapest/ most expensive and reference to which is most useful- means vets can weigh up treatment options). Admittedly, I already have a very keen interest in the subject, but I found it very useful and readable. I picked it up day after day to read with excitement. Sometimes the odd sentence can be a little long and therefore at times hard to make sense of, but generally I really enjoyed the layout and flow of the text. The chapters followed each other well. Within the chapters, the layout of each of the diseases was really good. Each section was thorough and well structured. I liked the links to other sections and tables. I also really enjoyed the large amount of images used. Especially when demonstrating a procedure, it was nice to have a step by step guide. Some of the images are a little grainy or out of focus, perhaps because they’re older. As an undergraduate student with not much imaging experience, I did find ultrasound images hard to interpret, despite the descriptions below. Quite a lot of the images would therefore benefit from additional aids to interpret them: use of more arrows/ circling or even improved descriptions would help. They’re a very big part of the clinical content of the text and therefore more emphasis should be put on them. The resuscitation chapter was most useful to myself personally. Having been present at a lot of foalings, and many more to come this year, I wish I’d have read this sooner! No doubt the other chapters will become more significant as I complete further stud medicine placements this season. I also really enjoyed the case scenarios, and they could become more of a feature. To a student, this is a huge selling point, especially if made into a self-assessment section e.g. what would you do and an answer. It would also be nice to have some of the reference studies mentioned actually cited in the text. Even though they are present at the end of the chapter, I think numbering them in the text will just enable people to pick out which reference is the one mentioned easier. This is an invaluable addition to the libraries of experienced and novice practitioners, veterinary and animal science students, and horsemen who are responsible for caring for foals. The photographic, radiographic, and ultrasonographic illustrations are particularly helpful. 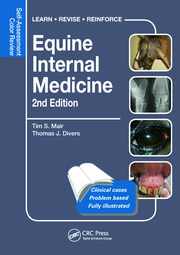 This edition includes a useful 10-case series in the last chapter that provides illustrated examples of the most common foal problems encountered in equine practice.